Al Jaidah Brothers recognized an opportunity to create and market franchises and retail opportunities that were found to be lacking in the Qatari market. 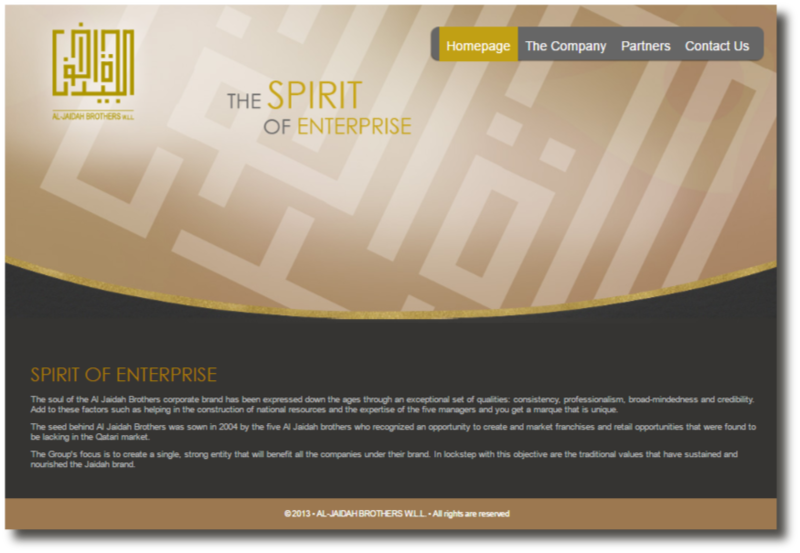 The Group’s focus is to create a single, strong entity that will benefit all the companies under their brand. I created content for their website, marketing collateral for the various companies under the brand, and put in place processes for the various newsletters.